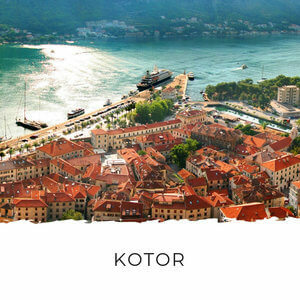 This Montenegro hiking holiday will take you on some of the most scenic hikes in Montenegro. It's perfect for people who enjoy hiking, but don't want to sacrifice their creature comforts and sleep in a tent. 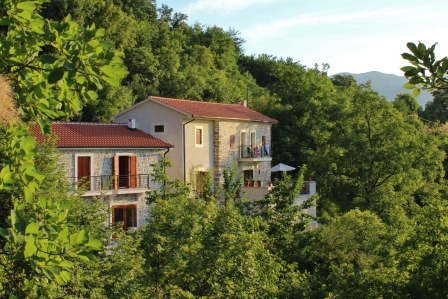 The holiday combines the comfort of a beautiful villa with four guided hiking tours that range from easy to challenging. It’s almost like Montenegro was designed for walking holidays. It's full of primeval forests, mountain vistas and sea views. Hiking is also one of the nation’s favourite past times, along with ‘cafeing’ – yes that is a verb over here… but that’s a story for another day! We love strapping on our hiking boots and heading into the mountains. The great thing here is, you don’t even need to go far. Just 10 minutes from the coast will bring you to some of the country’s best hiking trails. The mountainous and wild country here is perfect for exploration on foot. There are ancient donkey trails and roads built by long-gone empires criss-crossing the country. When you follow these, you never know what you’ll come across: Austro-Hungarian fortresses, Illyrian graveyards or a wandering tortoise. 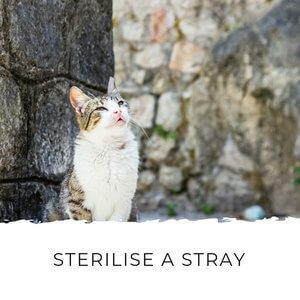 Watch out when you pick these up – their defence mechanism is letting out a stream of urine! One thing is guaranteed: fabulous scenery of forests and breath-taking vistas over lakes and seas. If you’re looking for a guided Montenegro hiking holiday, look no further than this Skadar Lake based one. This national park is one of the most stunning areas in Montenegro and the hiking is superb. 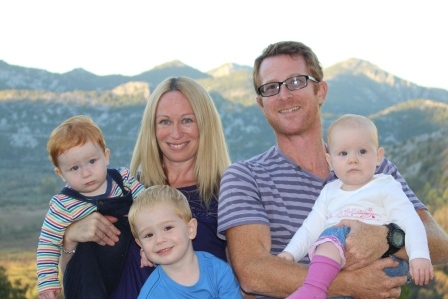 The Montenegro hiking holiday is hosted by a lovely couple, Ben and Emma (and their three children), who have an undying passion for this region. They’ve made the lake their home and love to share the best of it with their guests. 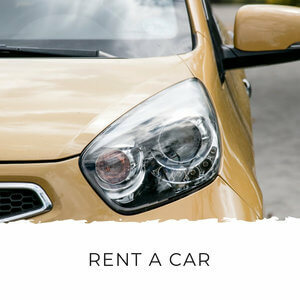 They take excellent care of all of their guests and give them an experience they’ll never forget. I have no hesitation in recommending them whole-heartedly! 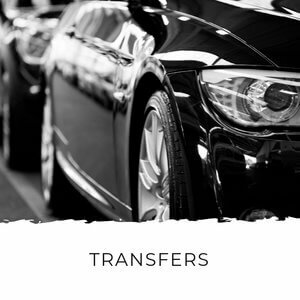 Many of my customers have booked a week’s beach holiday on the coast and a week’s holiday with Ben and Emma – the feedback I’ve received about splitting a two week holiday in Montenegro like this has been overwhelmingly positive. 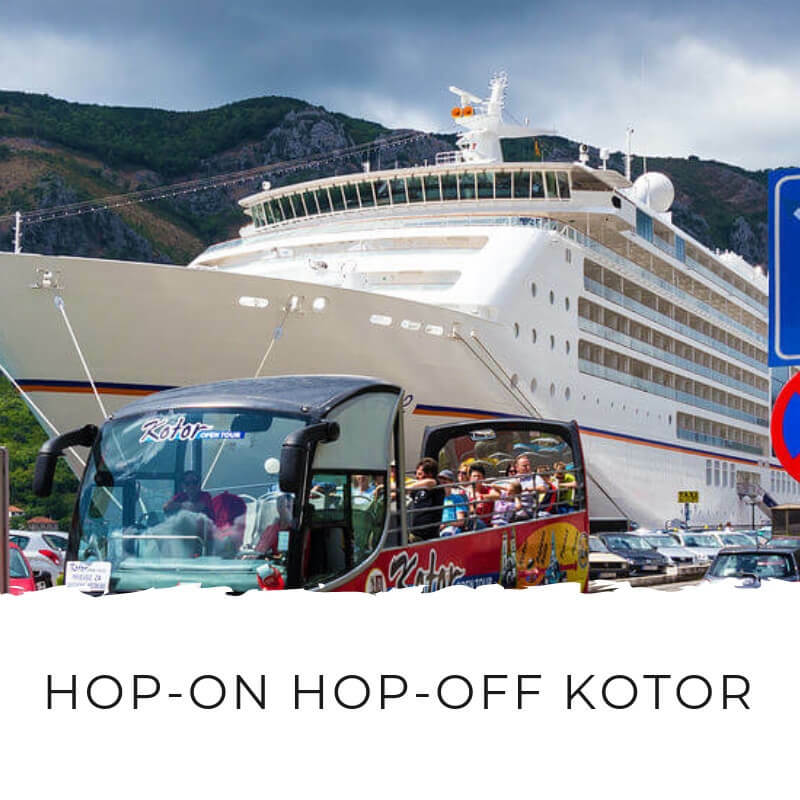 You get the best of both worlds – a week enjoying the sun and beaches and a week exploring Montenegro’s hidden backcountry. 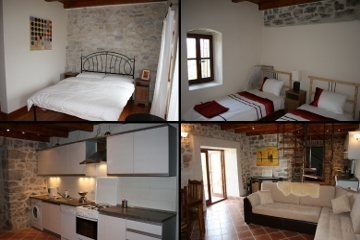 Villa Miela where you’re based on your holiday is in Virpazar – the gateway to Skadar Lake. It’s an old, stone building that’s been lovingly renovated. It’s even rumoured that an Orthodox saint was born there! The villa’s terrace has stunning views over the lake and there’s a hot-tub for you to relax in at the end of a day’s exploration. There’s also a well-stocked kitchen and a barbecue so you can enjoy your meals al fresco while you drink in the views. The villa’s orchard is full of organic fig, plum and pomegranate trees. This is the kind of idyll villa holiday dreams are made of! It’s also just two minutes from the lake shore, bars, shops and restaurants and 30 minutes from the coast. Each room has an ensuite bathroom. You can read Trip Advisor reviews of Villa Miela here. 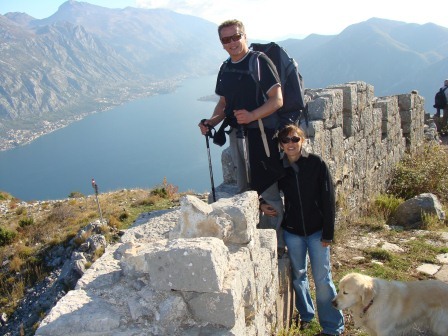 There are 4 guided tours included with the Montenegro hiking holiday. 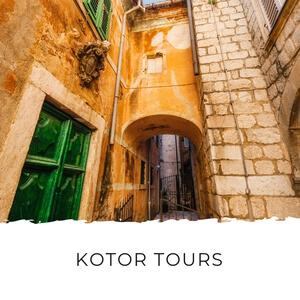 There are also extra optional tours that you can add to your itinerary. 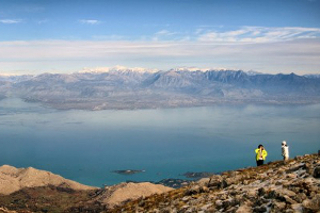 The first hike is a great introduction to the Skadar Lake area. 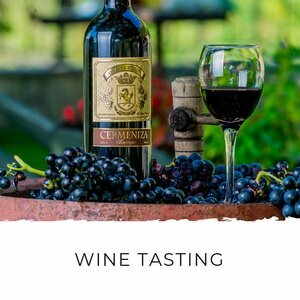 You start out from Villa Miela and head up to a hilltop village that’s well-known for its wine. From there you’ll head down to a freshwater beach for a well-earned rest and cool-off in the lake’s waters. Here, you have the option of enjoying lunch at a local restaurant on the lake shore (extra cost). 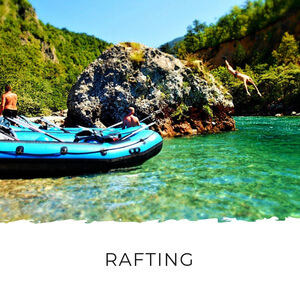 From there, you can travel back to Virpazar by boat or kayak. Difficulty: Easy – moderate. 4-5 hours walking with some short but steep parts. 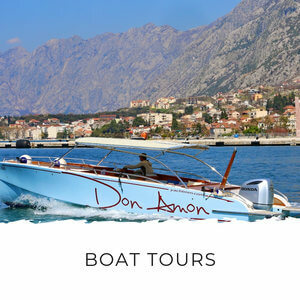 This tour starts at one of Montenegro’s old Austro-Hungarian fortresses. These abandoned remnants are scattered all over the country and are fascinating to explore. 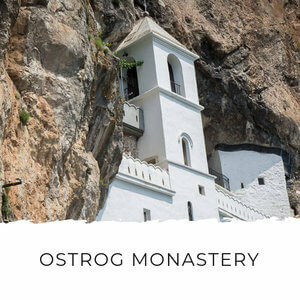 From Kosmac Fortress you’ll head down the old military trail to Ogradenica monastery and then on to Praskavica monastery. 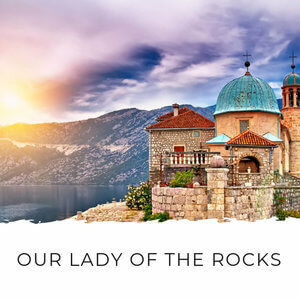 From there you’ll come down to sea level at the jewel in the Budva Riviera’s crown – Sveti Stefan. You get stunning views of the Budva Riviera all the way down on this walk. 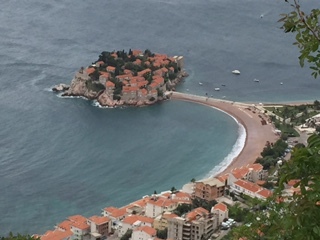 And when you get down to Sveti Stefan you can reward yourself with a dip in the famous sea. Then enjoy the million dollar view of the island over a bite in one of the quality restaurants. Difficulty: Moderate. A total of 5 hours hiking. Mt Rumija is one of Montenegro’s most impressive peaks. Today you’ll scale the 1,594m peak. From the top you have stunning views of Skadar Lake and the Prokletije mountain range that forms the border with Albania. In the other direction you have views over the Adriatic Sea. Like many beautiful mountain tops in Montenegro, there’s a church on top! Difficulty: Challenging. 6-7 hours hiking. 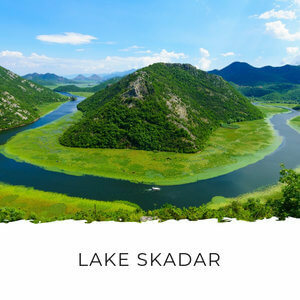 A closely-held secret of Skadar Lake locals, this is a must-do hike while in the area. Today’s circular trail takes you through woodland, across ancient Ottoman bridges and along old Roman caravan paths. 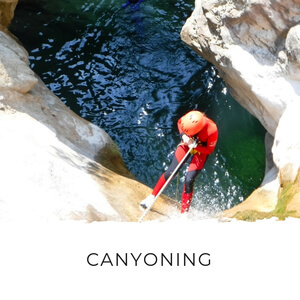 You’ll take a swim break in natural pools and waterfalls. After all this, the hike is topped off with a home-made lunch in a local village (extra cost). 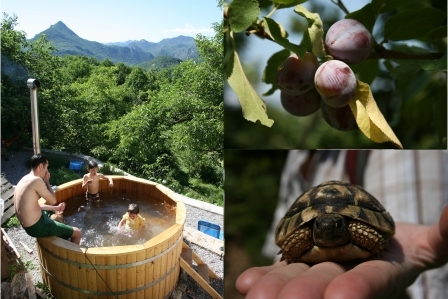 This hike shows you really authentic Montenegro – undisturbed forest, history, tortoises, wild figs and herbs. Difficulty: Moderate. 6 hours hiking. 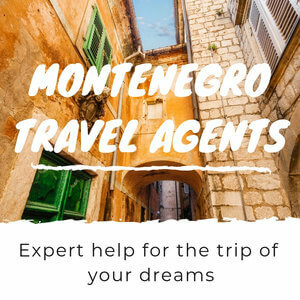 If you are interested in the Montenegro hiking holiday but are not sure about any of the hikes on the itinerary, please do send an enquiry. Ben and Emma may be able to amend the itinerary to suit you. 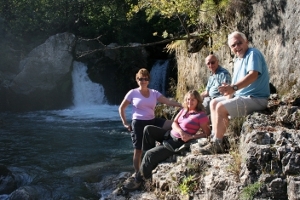 The Montenegro hiking holiday comes with the four tours above. 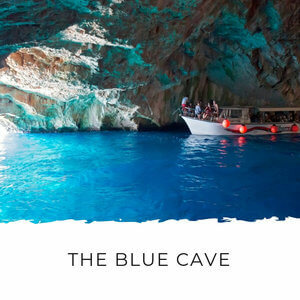 You can also add any of these extra tours to the existing itinerary. A great and effortless way to get out on the lake and up close with the wildlife. The lake is a haven for bird species in Europe. 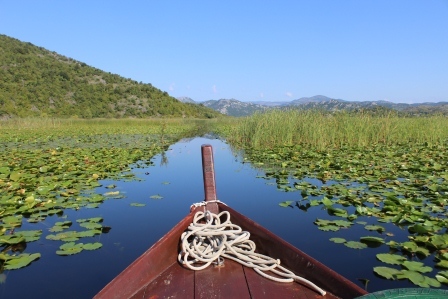 Read more about cruising Skadar Lake here. There’s a minimum of 6 people required for this tour. This is for a max of 6 people and includes transport. 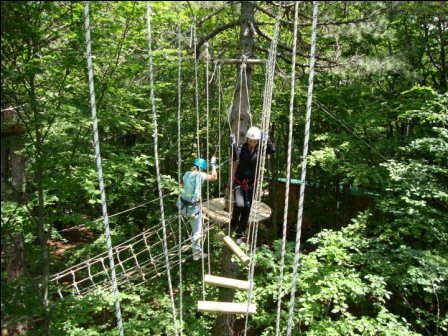 Try Lovcen's rope swing course. There are courses for all levels for ages 5 and up. Read more about the Adventure Park here. This includes transport and lunch. 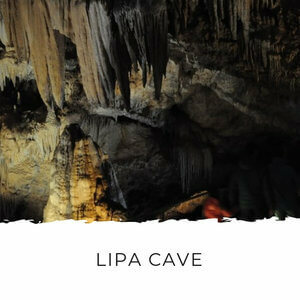 This includes transport, English-speaking guide, one night in Durmitor National Park, 1 dinner, 1 breakfast and 1 lunch. 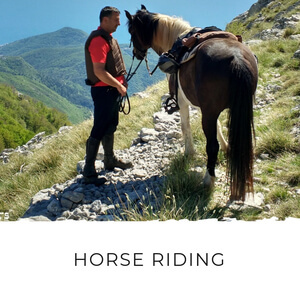 This is Montenegro's most thrilling adventure tour through some of Montenegro's untouched scenery. There a minimum of 6 people required for this tour. Who is This Holiday For? This holiday is ideal for people who enjoy hiking and getting out in nature. A reasonable level of fitness is recommended. 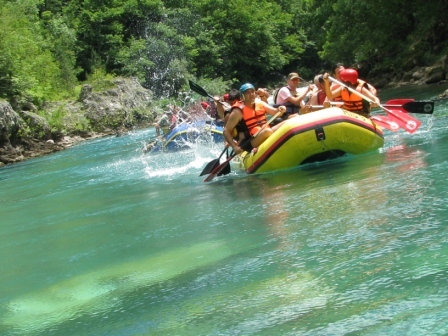 The pricing of the Montenegro hiking holiday depends on the time of year you visit. These holidays are payable in GBP so I’ve listed all prices in Pounds rather than Euros to allow for exchange rate fluctuations. The holiday is not available in July or August. 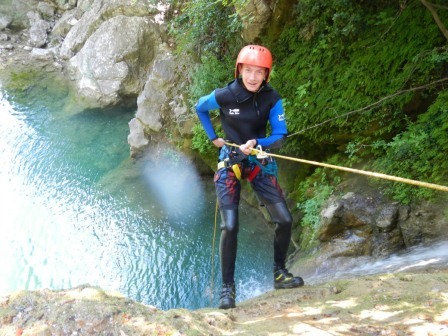 If like the look of this holiday and want to come in July or August, I recommend you check out the Active Villa Holiday. 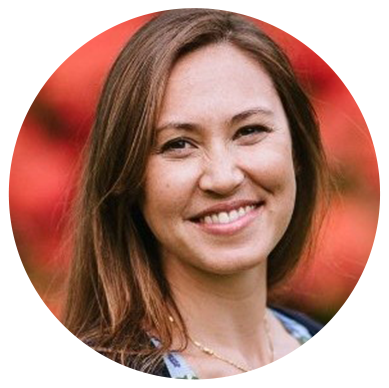 If there are 6 or more in your group, you have the option to hire the entire a villa (a supplement may apply). Sometimes the villa can accommodate shorter stays, but it depends on availability. If this is something you’re interested in, I recommend you enquire to ask. 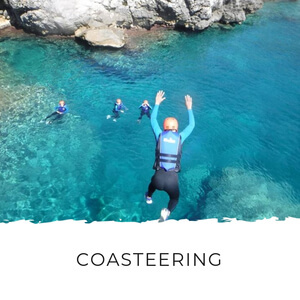 You can get a personal quote by filling in the form below and letting us know which activities you want to do. 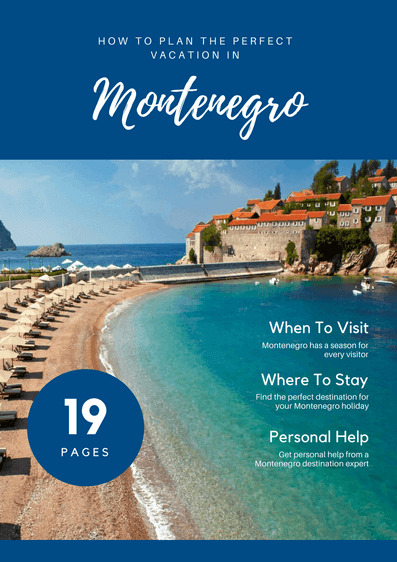 If you have any questions about this holiday in Montenegro or would like to make a booking, you can do so by filling in the enquiry form below. You’ll be answered within 24 hours.